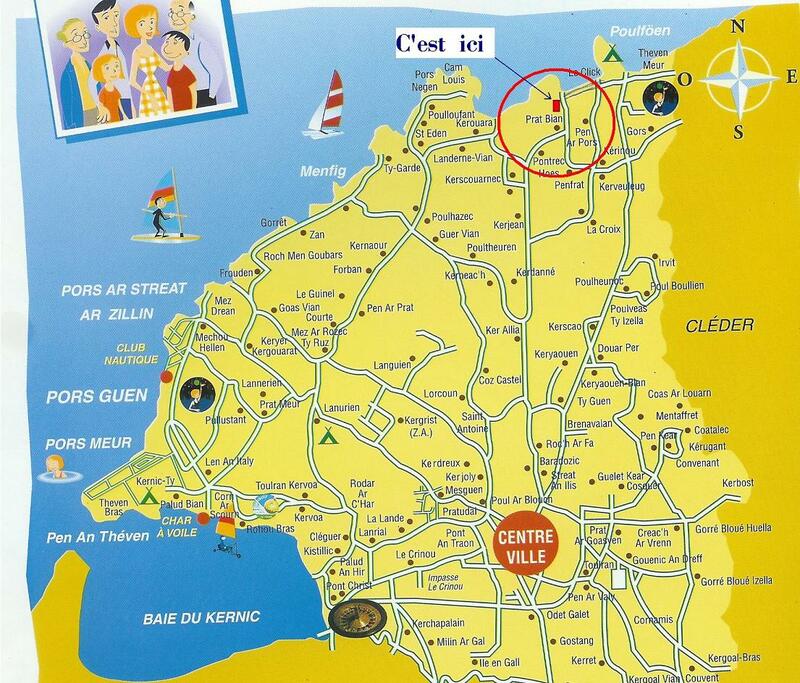 In the center of Plouescat, take the road between the Covered Market and the bakery, direction Poulfoën. You drive 4km and you arrive at a roundabout in front of the sea. Turn on the left, pass the camping, drive along the sea, and on your right, after a bend, you'll see the 'longère'. Slow down, you're on holidays!